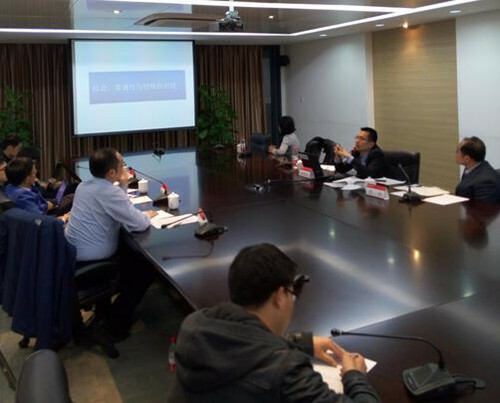 At 19:00, April 9th, 2015, the 3rd Boya Public Law Workshop was held in room 307, Leo Koguan Building. The keynote speaker Yang Dengjie, an independent researcher of Humboldt-Universität zu Berlin Law School, delivered a speech with the theme "The Proportional Principle of Constitution Law of Executive Powers". Attendants included Dr. Liu Quan from CUFELS, Dr. Yan Tian from PKULS, Dr. Peng Chun from PKULS and 20 other teachers and students. A.P. Liu Gang from PKULS hosted the workshop. 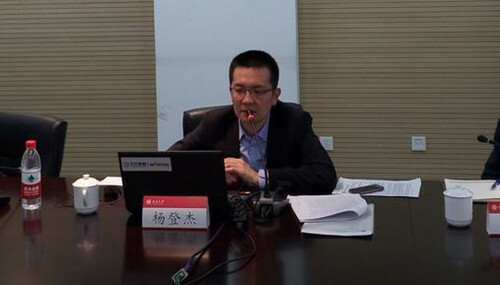 After the host introduced the guests and topic, Yang Dengjie explicitly explained the connotation and application of the Proportional Principle. At last, attendants commented on the speech, other students asked questions and Yang Dengjie responded till 21:00, when the workshop ended in applause.